I made this back in July I think. I meant to photograph it sooner, but I wiped my beet-juice covered hands on it and it was sitting on my laundry pile for a while. Maybe I should have taken photographs anyway, to make it more ‘real.’ So here it is, freshly washed: my Gathering Apron from Sew Liberated. I’m wearing it with my Kelly skirt (not intentional). And what also wasn’t intentional was to show my crazy life in the background. haha, I thought I cut out my laundry in the shot, and I didn’t even notice the knocked-over bucket. 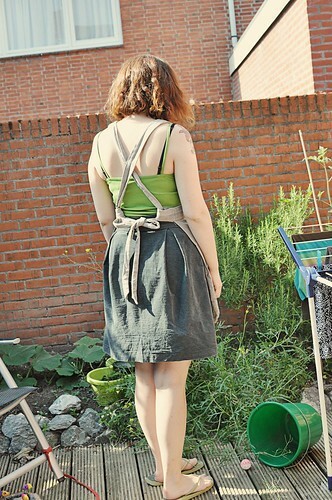 I decided to leave the photos as-is, as it kind of goes with apron photos. They aren’t supposed to be glamorous or anything, though this pattern is more glamorous than most. Not unisex at all. The pattern features adorable (yet annoying) pintuck details at the waistband and the bottom of the apron. The best part is the huge pocket in the front, perfect for gathering produce from your garden, or eggs from your chicken coop. I don’t have a large garden myself, but I could see it being useful to put clothespins in and various kitchen stuff while cooking. I made it out of a thick grey linen I got for €4/m at de stoffenspektakel this past spring. And I can see why it was such a good price. The fold line is permanently faded, as you can see a line down the front of my apron. 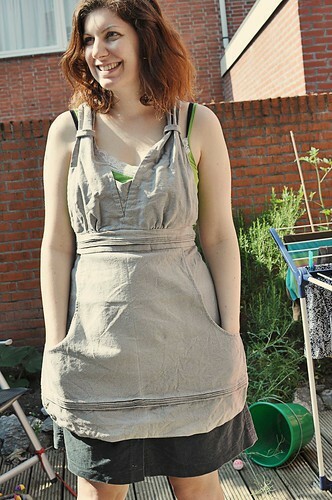 I chose linen because I wanted to have a teatowel feel to it, someting that would be absorbant, because I like to wipe my hands on my clothes, which is why I had to make myself an apron! And now for my little rant, I mean, review of the pattern. You see that cute little gusset? There are only written instructions on how to attach it, and it’s a bit confusing. Fear not! There is a video of the sewing process to help you if you are a visual learner. Um, yeah, I had to put in my password to access the video 3 times before it worked, because it’s one of those rnadom number and letter passwords. Then I finally access it and I see that the pattern piece in the video is completely different than the one included in the pattern. In the end, I figured it out. You’re supposed to line up the bottom of the gusset with the bottom of the bust cup and sew from the pattern marking to the top of the gusset. I hope that helps someone who is trying to figure it out. The rest is fairly straight-forward. I finished the straps differently than the pattern called for. I believe you’re supposed to sew the straps closed by topstitching it, but instead I just sewed them inside-out and used a long-handled wooden spoon to turn them inside-out. And I also did only the bare minimum of pressing because I made it during our heat wave in The Netherlands. It was around 25 to 32 degrees for a good while, so you really don’t want to be handling a hot iron. Most of the apron is finger pressed. I think I only did a final press, actually. And pressed under the seam allowance on the belt so I could top stitch it down. 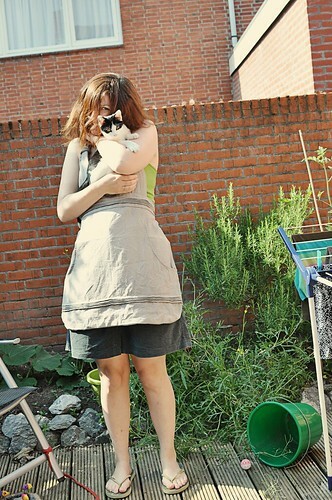 It’s just an apron, so I’m not terribly sad about it. It’s one of the reasons I chose this project to do in the heat, actually. Here is my new tiny kitty! His name is Walter and he is either completely crazy or completely relaxed. Kittens are so fun and exhausting! After Korban died, we decided to just get a new kitty rather than waiting a year to get one (we were basically at the end of the spring kitten season). I sure miss Korban but Walter keeps me so busy that I don’t think about him too much. I love him and his craziness. 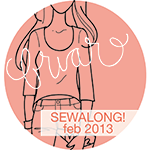 One last note about Sew Liberated Patterns: I got this pattern as well as their skinny jeans pattern. I am grateful that the gathering apron pattern is one size because the skinny jeans pattern is multi-sized but does not distinguish between the sizes using labels nor different line dashes. There is also no size chart. So I guess I’ll have to give it my best guess. So these jeans are no longer high on my priority list for sewing. Better to make some Thurlows I think. Lauren totally skinni-fied them. So I think I may do that too. Lovely apron! I’d be tempted to make it into a dress, I love the straps in the front. Walter is adorable!!! Cute apron but what a shame about the issues with the pattern. How annoying about the skinny jeans not having a size chart, I say go for the Thurlows! This is such a cute pattern! 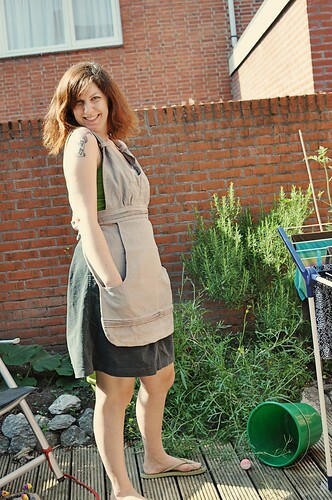 I’ve been looking for an apron pattern lately, after I splattered cooking oil on my brand new Anna dress whilst frying. What a goose I am. Works so well with the linen too. Oh nooooo. 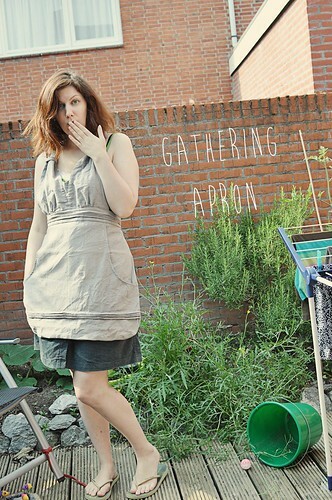 Aprons are the bomb, especially when they look cute! Sew Liberated has another one that’s reversible. Jamie Christina also has a few cute apron patterns as well.